The first Trackskills track day of the 2016 season was fairly uneventful. Numbers were okay and as would be expected during what is still the Winter, there were no Locaterfields, although Allen Hume did go with just a soft top on his MX5. For once, the weather forecast was accurate. It was dry but cold until 3:00pm and then the rain came. 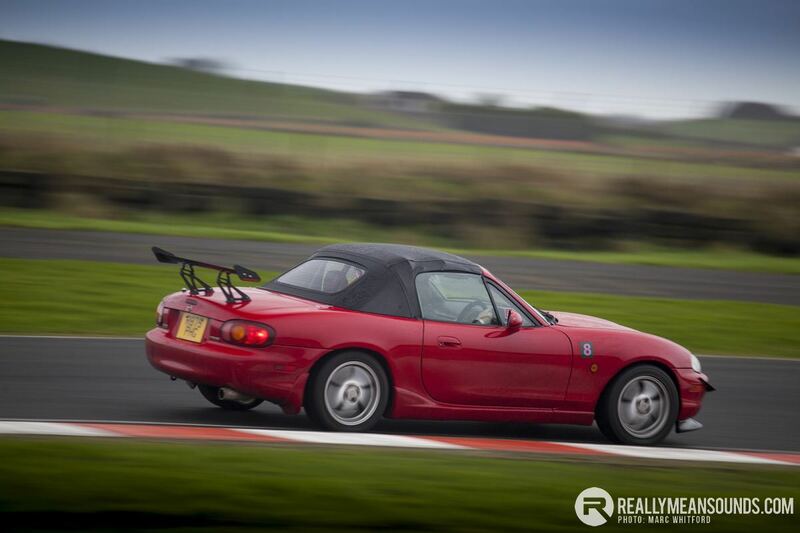 Donna Anderson continued to learn in her black MX5 and Liam O’Flagherty learned that brakes are a necessity on his, having the pedal go to the floor in the first session! Alastair Whitten and Gareth Johnston lapped quickly, mostly together, in their Imprezas. Later, Colin McDonnell joined the party in his rather quick model. 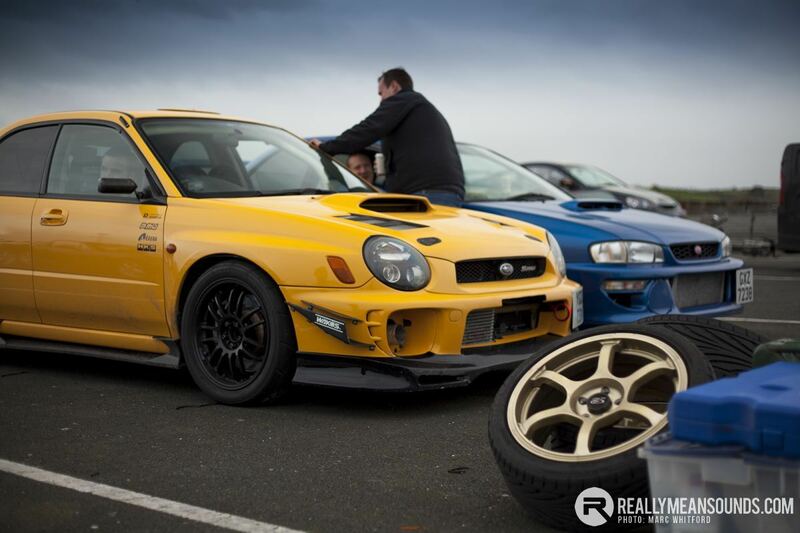 Unfortunately, Gary Craig had brake problems after a couple of sessions in his. That ended his day. Kirkistown Fiestas had a few representatives. Jonny Forsythe went well in the car he hopes to take the championship with this year. Three Stewarts shared two cars along with Desi McGlade in his replacement for 2016. Desi had issues in the form of a slipping clutch that curtailed his activity. John Whyte went very well in his larger engine Fiesta. One could almost see the thought bubbles above the heads of the Kirkistown Fiesta drivers as they watched him! 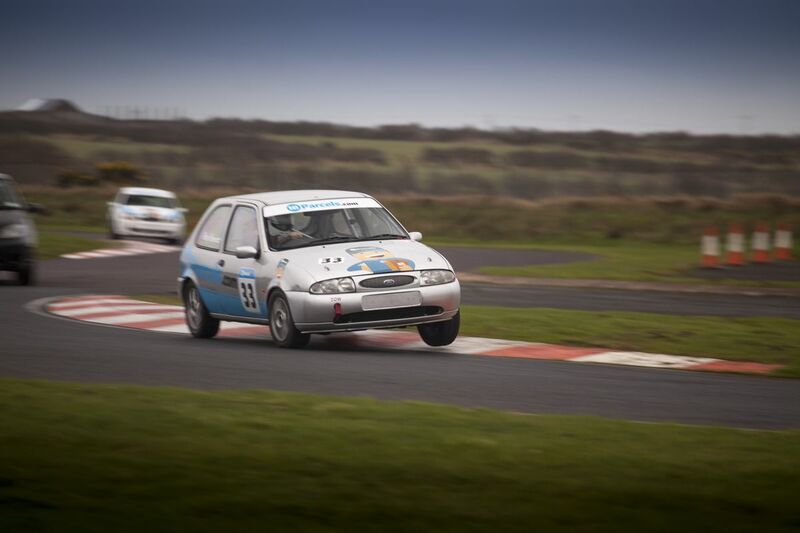 The Mazdabitz Focus went well with a variety of drivers as did Tom Gaughran’s Clio Cup Van! Damien Dixon took his Mazda RX8 out for what may be its last track day and went well. Damien is going to Japan for a year and is selling it before he goes. The Clios of Alan Forde and Conor Doherty continued to demonstrate why these are such great track cars with both running quickly all day without missing a beat. Thanks go as usual to the marshals who braved the cold and, after 3:00pm, the rain. It’s a five week wait until the next one on Sunday 13th March but already bookings are coming in. On a final note, the stew provided by Mark in the café was excellent and helped keep the cold at bay.